Restorative tonic. Traditionally used for chronic & acute digestive weaknesses. Aids in assimilation of protein, carbohydrates, iron & calcium. Helps build & regenerate normal strength and vitality. Aids acute & chronic inflammatory symptoms. Indicated for chronic & acute cystitis, burning urine, prostatitis, peptic ulcers, arthritis & rheumatic complaints. Considered a good tonic for pregnancy. Used as a body cleanser, infection fighter and natural deodorizer. The enzymes have been shown to help to neutralize cancer. 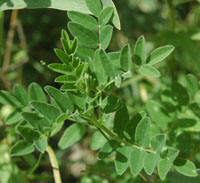 French scientists have shown that alfalfa can reduce tissue damage caused by radiotherapy or radiation. Key Uses: Anemia, appetite stimulant, arthritis, diabetes, fatigue, hemorrhages, pituitary problems, ulcers. Considered to be a good builder for those suffering from cancer, HIV, tuberculosis, and other wasting diseases. 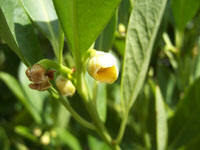 Known as a healing agent for treatment of burns and injuries. Thought to contain laxative properties. Beneficial to the liver. Beauty and cosmetic agent. Has shown anti-bacterial, anti-fungal, and anti-viral effects. Immune system stimulant. Also used in cosmetics and beauty aids. May stimulate uterine contractions and should be avoided during pregnancy. It is excreted in mothers milk and should be avoided during breastfeeding or it may be purgative to the baby. Key Uses: wound healing, sunburn, minor skin irritations, constipation, peptic ulcers, immune system enhancement, diabetes, asthma, deodorant. Improves circulation. Has warming properties. Aids in regulating female menstrual cycle. Should be avoided by diabetics as it increases blood sugar. Should be avoided during pregnancy. Contains phytoestrogens. Thought to reduce blood pressure by dilating blood vessels. Smooth muscle relaxer. Useful against allergies. Immune enhancer. Often used to balance female hormones and as an emmenagogue. Key Uses: appetite stimulant, bronchial problems, colds, exhaustion, gas, heartburn, rheumatism, menopausal symptoms, premenstrual syndrome, allergies, smooth muscle spasm. Used to stimulate digestion and move mucus out of the body. Used to warm the abdomen, prevent & expel gas, aid digestion, relieve belching. Aids in reduceing mucus in colon. A known glandular stimulant. 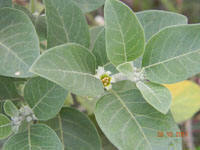 Externally, the oil may be used in an ointment for the treatment of scabies. The oil can also help in the control of lice. Tastes similar to licorice. Key Uses: colic, convulsions, coughs, gas, intestinal purifier, mucus. Chinese herb. Helps increase energy, strength and stamina. Traditionally used for general weakness and lack of appetite. Balances blood sugar levels. 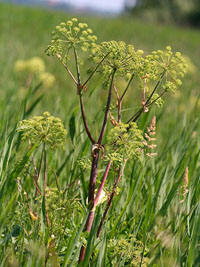 A tonic herb used for colds, flu, diabetes, and stomach ulcers. Considered as adaptogen and immuno-stimulant. Protects the kidneys and liver. Decreases fatigue in athletes. 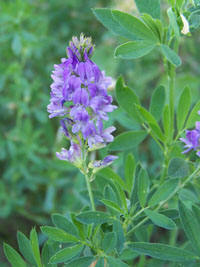 Also has anti-viral, anti-bacterial, and anti-inflammatory properties. Has anti-infective properties. Supports Natural Killer cells. Used in China to build immune system after chemo. Key Uses: immune system, builds energy, colds, flu.